FROM TUESDAY DEC 5TH UNTIL JAN 17TH, in 19 cities / 4 continents, WE WILL ASK WHICH ONE, FROM OUR NOMINEES FOR BEST FILM OF THE YEAR, IS YOUR FAVOURITE FILM. TO HOST THESE SPECIAL SCREENINGS WE HAVE TEAMED UP WITH THE BEST PARTNERS IN THE BUSINESS: Academy of Motion Picture Arts and Sciences, Broet, Cinecity, Cinesud, Dutch Centre, Dutch Film Days Vienna, FeldKino Berlin, Filmalot, Film by the Sea, Film Platform Rotterdam, Gelders DOEK, NewFilmmakers Los Angeles, ONE NIGHT FILMS, RAPID LION: THE SOUTH AFRICAN INTERNATIONAL FILM FESTIVAL, Shortcutz cities: Berlin, Figueira da Foz, Funchal, Guimarães, Lisboa, Porto, Santa Catarina and The Bioscope Independent Cinema. 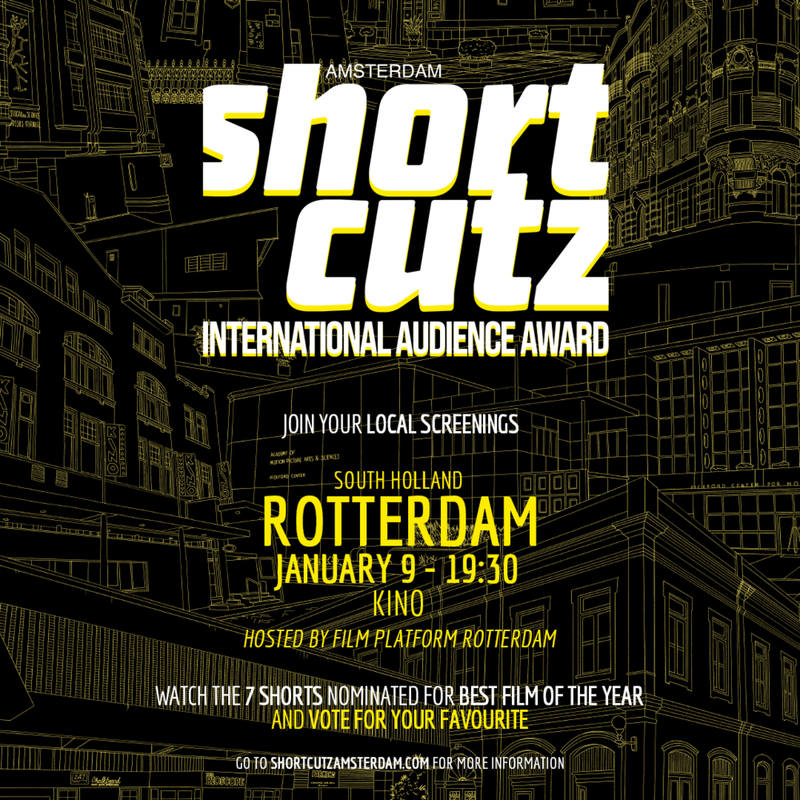 JOIN US FOR THE SHORTCUTZ AMSTERDAM INTERNATIONAL AUDIENCE AWARD AND VOTE! Join your local screenings, watch the 7 short movies nominated for Best Film of the Year and pick your favourite in the end. 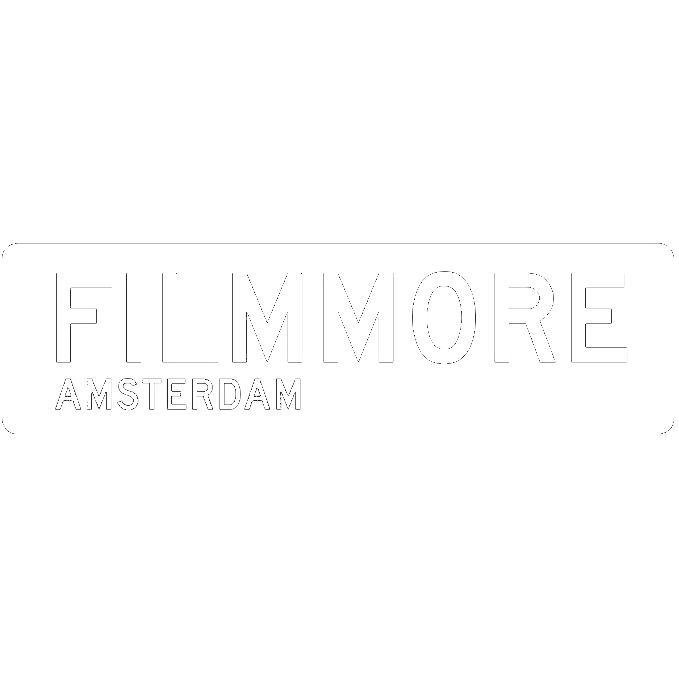 These 7 films were selected by Shortcutz Amsterdam's Jury Team composed of: actor Rutger Hauer (Blade Runner); producer Jan Harlan (The Shining), director Hany Abu-Assad (The Mountain Between Us), director Roel Reiné (Marvel's Inhumans); actress Willeke van Ammelrooy (Antonia's Line); actor Tygo Gernandt (Van God Los); director Eddy Terstall (Simon); producer Pieter Kuijpers (Van God Los); Marina Blok, Head of Drama ntr; actor Vincent van Ommen (Amsterdam Heavy), Nederlands Film Festival programmer Claire van Daal; EYE senior programmer and head of acquisitions René Wolf, actress Sigrid ten Napel (Penoza), and street-artist Laser 3.14. The result of this voting, the Mr. Zee Audience Award, will be announced during the 6th Shortcutz Amsterdam Annual Awards - January 20th, 20:00 (CET) at EYE 1 (Dutch Film Museum). This gala will be streamed live on Shortcutz Amsterdam Facebook page. All the cities are preparing lovely things to these screenings, from a full-Hollywood experience at the Academy of Motion Picture Arts and Sciences, Short films with Bitterballen at Vienna, Filmmakers gatherings and much more. Please click on your city’s poster to be connected with your events/platforms.